Book Condition: Unread copy in perfect condition. Comment: Unread copy in perfect condition. Paul Rudolph, one of the 20th century's most iconoclastic architects, is best knownand most malignedfor his large "brutalist" buildings, like the Yale Art and Architecture Building. So it will surprise many to learn that early in his career he developed a series of houses that represent the unrivaled possibilities of a modest American modernism. With their distinctive natural landscapes, local architectural precedents, and exploitation of innovative construction materials, the Florida houses, some eighty projects built between 1946 and 1961, brought modern architectural form into a gracious subtropical world of natural abundance. Like the locally inspired desert houses of another modern master, Albert Frey, Rudolph's Florida houses represent a distillation and reinterpretation of traditional architectural ideas developed to a high pitch of stylistic refinement. Paul Rudolph: The Florida Houses reveals all of Rudolph's early residential work. Along with Rudolph's personal essays and renderings, duotone photographs by Ezra Stoller and Joseph Molitor, and insightful text by Joseph King and Christopher Domin, this compelling new book conveys the lightness, timelessness, strength, materiality, and transcendency of Rudolph's work. Joseph King is an architect practicing in Bradenton, Florida. 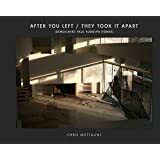 Christopher Domin is an architect living in Tucson and a professor at the University of Arizona. I found myself becoming nostalgic looking through the pages of this book. Having grown up in Florida, I was stunned to see that the house I lived in had been a knock-off of one of Rudolph's houses. His early Florida houses were widely emulated for their clean lines and passive solar designs. It is an impressive collection, and illustrates the lighter side of Rudolph before he became caught up in the monumental forms that dominated the latter part of his career. You might call him the John Lautner of Florida, creating a lifestyle as much as an architecture. You could see Travis McGee laying back in one of these houses, drinking a beer as he waits for the elusive flash of green. Rudolph really captured the spirit of Florida in the 40's and 50's. Simple, well-thought out designs that are as relavent today as they were then. Paul Rudolph did his best work in Florida hands down. This book is an wonderful mix of photographs, drawings and text that give great insight into the work of Rudolph's understanding of the Florida's climate and the technology available in his day. It is a must for anyone seriously interested in modern architecture. What an amazing architect, what an amazing book! 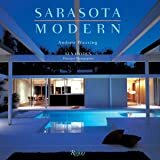 If you are interested in the 'Sarasaota Modern' style of architecture, this is a wonderful resource. Rudolph was one of the pioneers of this style and is a worthwhile study. 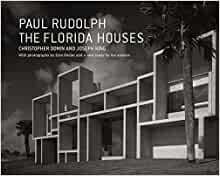 This is by far one of the most exquisite Modern Architecture books I have ever seen... Paul Rudolph left such an important legacy through his Florida House designs... The illustrations are crisp and very well drawn and the content id pure of insightful information regarding the architect and his work. This book has become one of my favorite architecture books. I have the hardcover version of this book, and I must say the graphic design, color, printing, editing, text, and even the dimensions of the all seem wonderfully appropriate. I know the format of this, The Florida Houses, is similar to that of The Late Work in the same series; however it is far more successful when showcasing the building logic and detail elegance in early work of Rudolph and Twitchell than the later "brutal" style Rudoplh explored. A total package as well as totally classy. I suggest the hardcover.